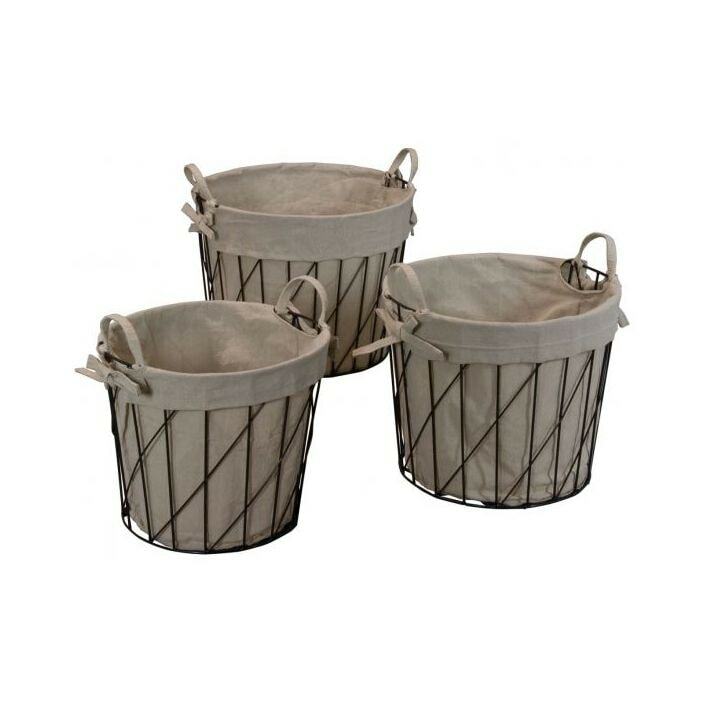 Invite a little extra storage to your home with this lovely set of 3 baskets. Hand crafted to a high level of quality using only the finest of materials, these wire and linen baskets are sure to brighten up your home. So bring some style and aesthetics in your wonderful home today with this stunning piece.